Providence region. 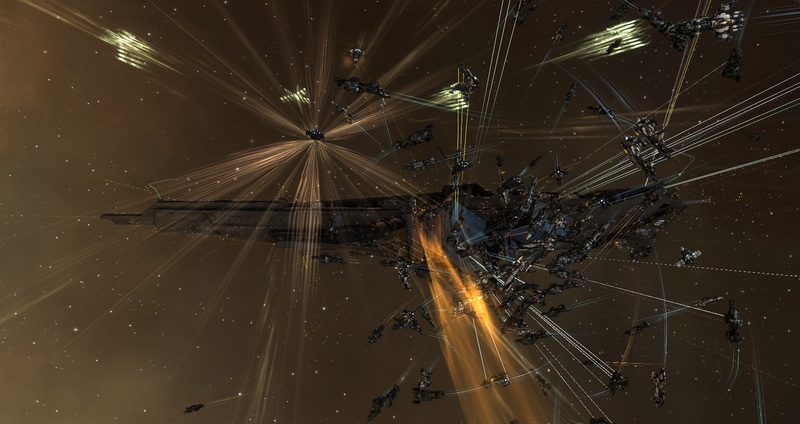 On the 27th of March at 19:00 EVE Standard Time, a battle unfolded in the KBP7-G system and spread to neighboring systems as Providence Bloc attempted to defend a Fortizar citadel. The battle was fought over the structure which had been deployed the previous day by Sev3rance [-7-], a member alliance of Providence Bloc. With the citadel set to exit its anchoring phase and online on the evening of the 27th, Providence Bloc mustered a 210 pilot Nightmare battleship fleet. The force made its way to the system, setting up at range from the Dital gate, one of the main points of entry for hostiles. Providence Bloc was not wrong in preparing for battle. Several entities had knowledge of the structure and prepared to destroy it. The three major fleets which formed up to contest Providence Bloc were as follows: A Spectre Fleet 80 pilot Ferox battlecruiser fleet, a Northern Coalition. 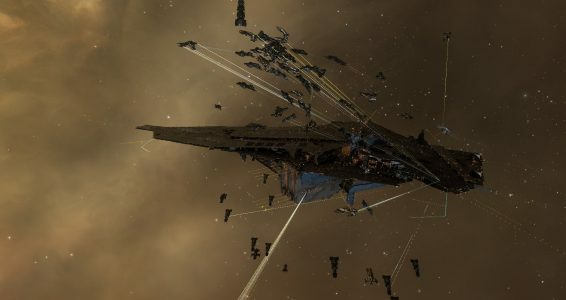 [NC] 190 pilot Proteus strategic cruiser fleet and a similar 100 pilot fleet from Pandemic Legion [-10.0]. These fleets converged on the KBP7-G system. Spectre Fleet and Northern Coalition. entered the region through Dital, and after a quick fire exchange forced Providence Bloc to dock up. The Nightmare fleet not only had to contend with Northern Coalition., but reports indicated Pandemic Legion had bridged behind it, putting the entire force at risk of being sandwiched between the three hostile fleets. Thus Providence Bloc decided to retreat, leaving Northern Coalition. and Spectre fleet to roam around the system. Spectre Fleet seized the opportunity and set up on the Fortizar which finished anchoring and was vulnerable. The Ferox fleet opened fire and slowly bled the structure. However Pandemic Legion arrived to the system, and with Providence Bloc nowhere to be found, warped on top of the battlecruisers. A brief firefight ensued as the strategic cruisers tore into the ranks of Spectre Fleet, volleying ships left and right. Spectre Fleet could do very little in return and attempted to escape from the unrelenting strategic cruisers. With the battlecruiser force in disarray, Northern Coalition. warped in to aid Pandemic Legion in clearing the grid. The last remnants of the Ferox fleet fled the scene quickly, making their way back to high security space and leaving the two alliances in command of the field. The two Proteus fleets started attacking the structure as well, but after a while Pandemic Legion decided to disengage and leave the system. This was done in order to lure Providence Bloc out of its citadel. With Pandemic Legion forces seemingly in retreat and Northern Coalition. appearing busy shooting the Fortizar, an opportunity presented itself for the Nightmare fleet to escape the system. The Nightmare fleet set off from its citadel and warped to the B-WPLZ gate, jumping upon contact. Northern Coalition. and Pandemic Legion were prepared. Interdictors quickly followed the Nightmare fleet and deployed warp disruption probes, snaring a large chunk of the fleet while the two Proteus fleets followed through. Northern Coalition. was the first on the field and opened fire on the battleships, burning into their ranks as Providence Bloc attempted to pull range from the KBP7-G gate and clear the cover of warp disruption probes. Pandemic Legion arrived a few moments later and added its firepower to the mix. The Nightmare fleet fought back, targeting Northern Coalition.’s logistics wing. Guardian logistics cruisers quickly melted to focused tacyhon beam laser volleys. Yet at the same time, the battleships themselves caved in to the relentless barrage of the strategic cruisers. This led to an ugly trade off between the two fleets fleets exchanged losses. With Pandemic Legion joining the fray, the rate of casualties increased dramatically for Providence Bloc. Providence Bloc was already in trouble, the fleet having spread out due to many of its mainline ships slowed down thanks to stasis webifier effects used by Northern Coalition. Many ships were simply out of range of the logistics wing and could not receive remote shield transfers. The Providence Bloc logistics wing also had difficulty contending with two strategic cruiser fleets who followed different targets. With battleships destroyed in increasing numbers and the fleet’s cohesion broken, all the Nightmare fleet could do was clear tackle from the field and attempt a retreat. The Nightmares focused their fire on interdictors and heavy interdictors, destroying many in their desire to break free. Friendly command destroyer pilots dove in to try and teleport hostiles away, thus helping the main fleet to escape. One such attempt managed to throw off the main Pandemic Legion force, but it simply regrouped and burnt in again, firing all the while. With the Providence Bloc fleet commander snared by the attackers and the number of battleships drastically reduced, the order was given to warp off and escape. The ships not caught by warp disruption fields or probes warped out, landing on the E-YCML gate and jumping through. The Proteus fleets sent their interdictors after the battleships while clearing the grid of any stragglers. By that point, the Proteus fleets had lost many interdictors and were unable to hold down the Nightmare fleet as effectively as before. This allowed most of the battleships that jumped into E-YCML system to get clear of the gate and safe up. The Proteus fleets that followed through could only catch a few of the ships. Destroying the few late comers, the Proteus fleets made their way back to KBP7-G. 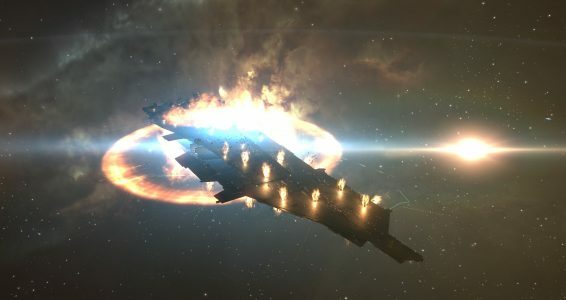 The Fortizar may have been forgotten by the Proteus fleets, but other hostile gangs in the system kept chipping at the structure, slowly bringing it down. By the time the two fleets arrived it was already at low health. With the two Proteus fleets, the destruction of the citadel was greatly hastened. The structure’s demise signaled the end of hostilities as the various gangs and fleets departed the system. Battle report for the region can be found here. All told the battle lasted 53 minutes with Time Dilation spiking and subsiding throughout the fight, at one point reaching 26%. KBP7-G hosted the most players during the fight, with 630 present in the system. Providence Bloc lost 116 ships including 54 battleships. 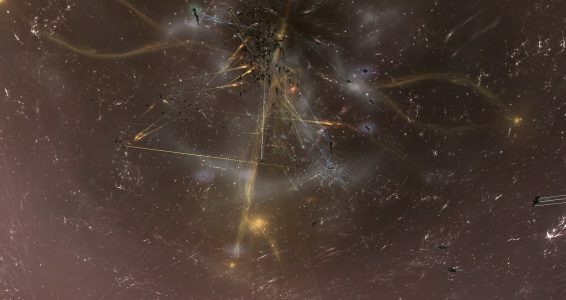 With the Fortizar citadel the total damage mounts to 40.69 billion ISK. Northern Coalition. and Pandemic Legion lost a combined 32 ships including 1 strategic cruiser for a total of 6.84 billion ISK damage. Spectre Fleet and other third parties lost 103 ships including 38 battlecruisers for a total of 8.29 billion ISK damage. Its like you read my mind! You appear to know a lot about this, like you wrote the book in it or something. I think that you can do with some pics to drive the message home a bit, but other than that, this is magnificent blog. An excellent read. I’ll certainly be back. I have been exploring for a little bit for any high quality articles or blog posts in this kind of house . Exploring in Yahoo I finally stumbled upon this website. Studying this information So i¡¦m glad to express that I have an incredibly just right uncanny feeling I came upon exactly what I needed. I so much undoubtedly will make sure to don¡¦t overlook this site and provides it a look on a continuing basis. P1w0JK Wow, great article post.Really looking forward to read more. Great. What are some actually great poetry blogs or web sites to upload journal entrances?